The Anglo-Australian Telescope, The Emu in the Sky (The Milky Way), the Southern Cross, Carina Nebula, Large Magellanic Cloud, Jupiter, Saturn… and me! Single 15s shot using a CANON 5D Mark III with a 14mm lens at f2.8, 1600ISO. Photo taken at 1.15am AEST, Saturday 6th April 2019. Full resolution image in my Flickr. 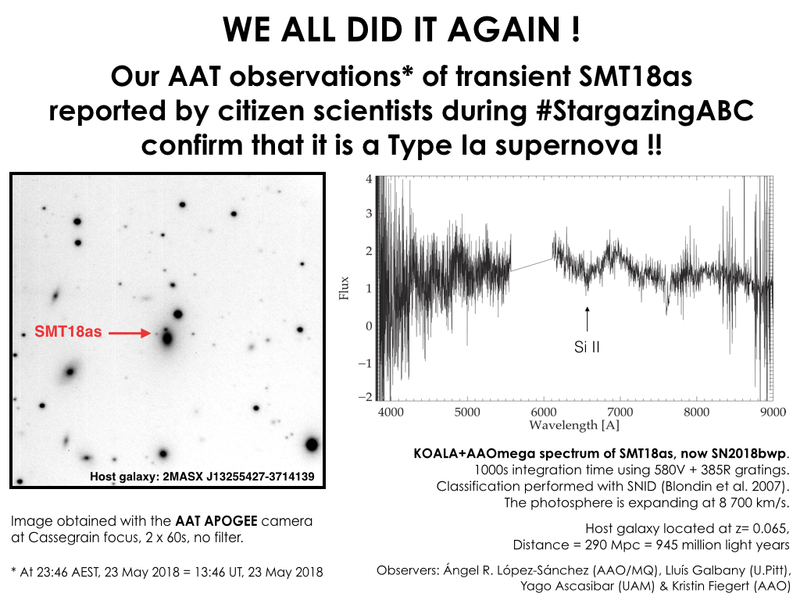 Credit: Ángel R. López-Sánchez (Australian Astronomical Optics, Macquarie University). Since the beginning of 2016 I collaborate with SBS Radio Australia en español (SBS Radio Australia in Spanish) with a section about Astronomy. 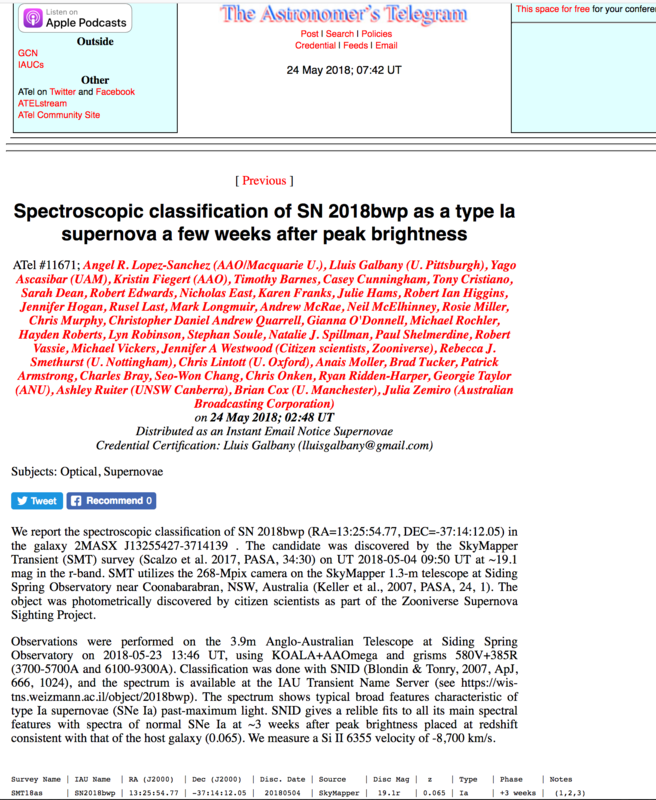 The idea came from the journalist Anna Sagristà who, after interviewing me for the section “Latinos in Australia” (*), invited me to have an informal conversation of ten minutes about some Astronomy facts of interesting news. That was the birth of “Astronomía para Principiantes” (Astronomy for Beginners), a monthly section on SBS Radio Australia in Spanish, that I also upload as a podcast in iVoox. 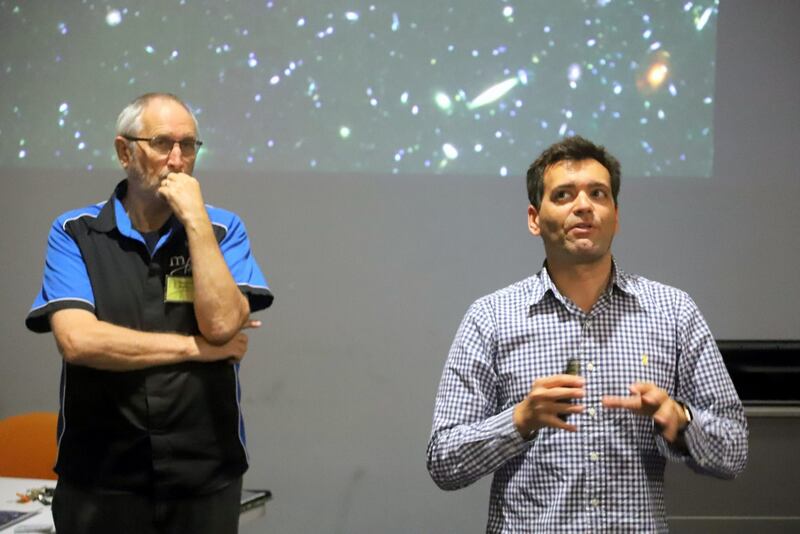 It is redundant to say that this podcast is in Spanish, but it is conducted in Australia, and that is why I think it is convenient I talk about it in this blog, as one of the many science communication activities I do in this country. With the return of Anna to Spain in mid-2016, it is my friend the journalist Rocío Otoya who has been conducting the section. Astronomy for Beginners is usually released on the last Sunday of every month. The most recent episode (number 31) was aired on Sunday, 31st March 2019 and it was dedicated to the Milky Way and its “weight”. However, on my iVoox channel I have uploaded so far only to Episode 23 (ApP23: The Blue Blood Supermoon, January 28, 2018). I’ll be uploading the rest of episodes during the next weeks. I added one of the “special episodes” on the first detection of gravitational waves, I should upload the other two that we recorded (one on “Estrella Cervantes” and the aforementioned interview on the SBS section “Latinos in Australia”). I will update this entry when I publish new episodes. I hope you like it! Some English-speakers have told me they use it for practicing their Spanish, which is always a good thing! Yesterday I was visiting my friends at the Macarthur Astronomical Society (MAS), which is based in Campbelltown, at the south of Sydney. 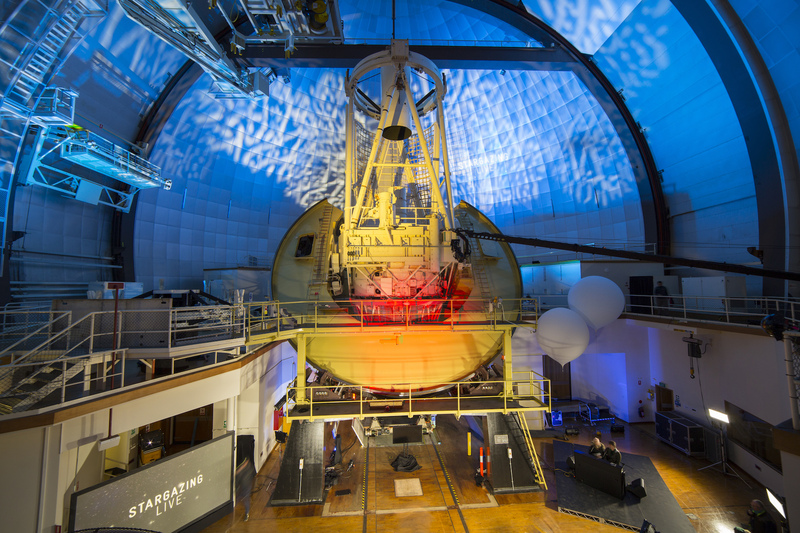 I have had the privilege of visiting them several times in the last years, where I talked about different aspects of Astronomy, from the “Light of the Universe” to the “Colour of the galaxies” till “Amateur Spectroscopy“. This time I was presenting my very own research, the Hi-KIDS project (the “HI KOALA IFS Dwarf galaxy Survey“, that I have to eventually publicize here too. Dwarf galaxies provide fundamental clues about galaxy origin and evolution. Many of them have irregular shapes and have processed little their gas, although they possess many old stars born billions of years ago. Still, many dwarf galaxies are very gas-rich and are currently forming stars, sometimes in a spectacular way. 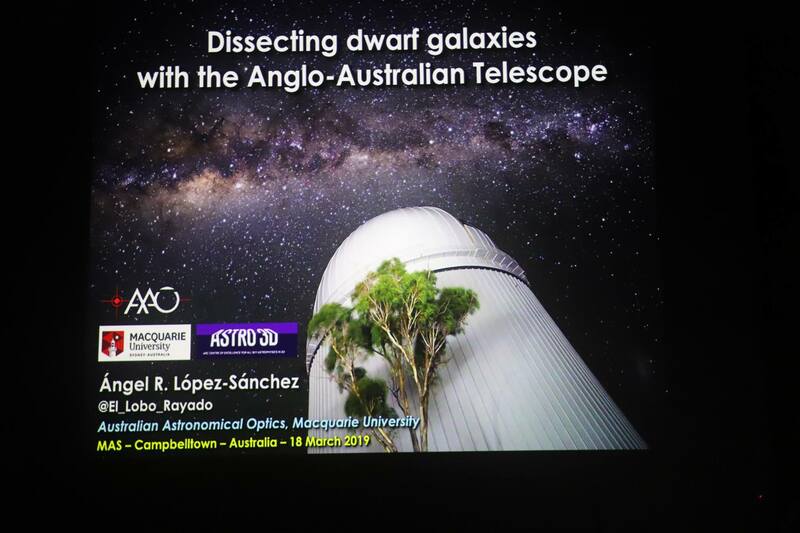 With these new observations using the powerful KOALA+AAOmega instruments at the 3.9m Anglo-Australian Telescope we are “dissecting” these dwarf galaxies to characterize the properties of the gas and the stars within them. Combining these new data with deep radio observations at 21 cm of the diffuse, cold gas within and surrounding these dwarf galaxies we will get a better understanding of the local and global star-formation processes in galaxies, the feedback of the newborn stars into the galaxies, the importance of inflows and outflows of gas, and the chemical evolution of nearby dwarf galaxies. You can find some photos of the talk in the Facebook webpage of the Macarthur Astronomical Society. I have to say that this is a very welcome audience and that I have always enjoyed a lot the visit to MAS. They have an invited speaker almost every month, getting many Australian (and overseas) astrophysicists to talk to them. You can have a look to the full list in the MAS webpage. Thanks for having me and see you in another astronomy event or talk soon! 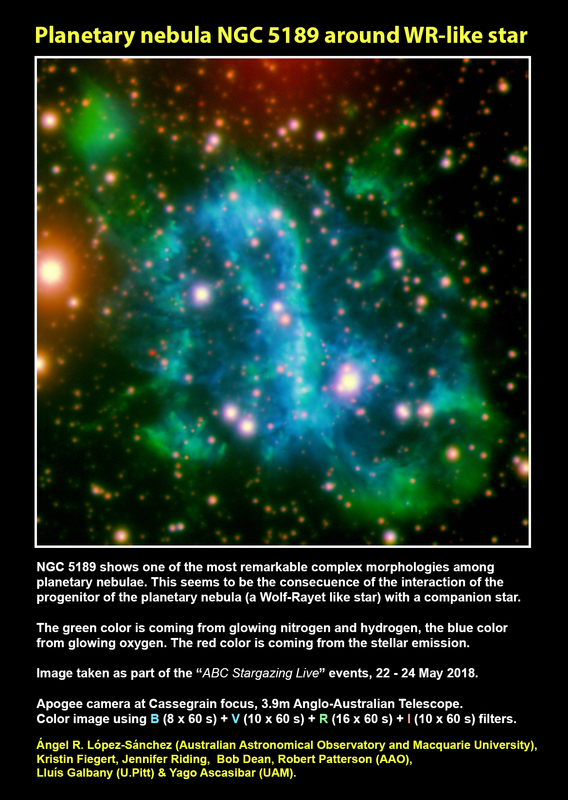 A new, very intriguing Wolf-Rayet star has been discovered in the Milky Way. Actually it is a massive triple star system. It has been nicknamed Apep after an ancient Egyptian deity, this may be the first ever gamma-ray burst progenitor found. 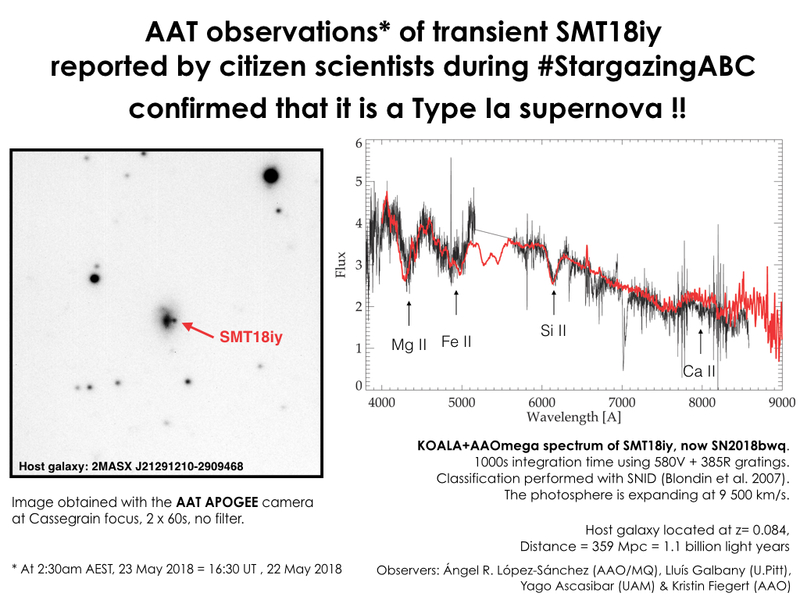 The research has been mainly conducted at the University of Sydney using data from the Anglo-Australian Telescope (AAT) and ESO’s Very Large Telescope. 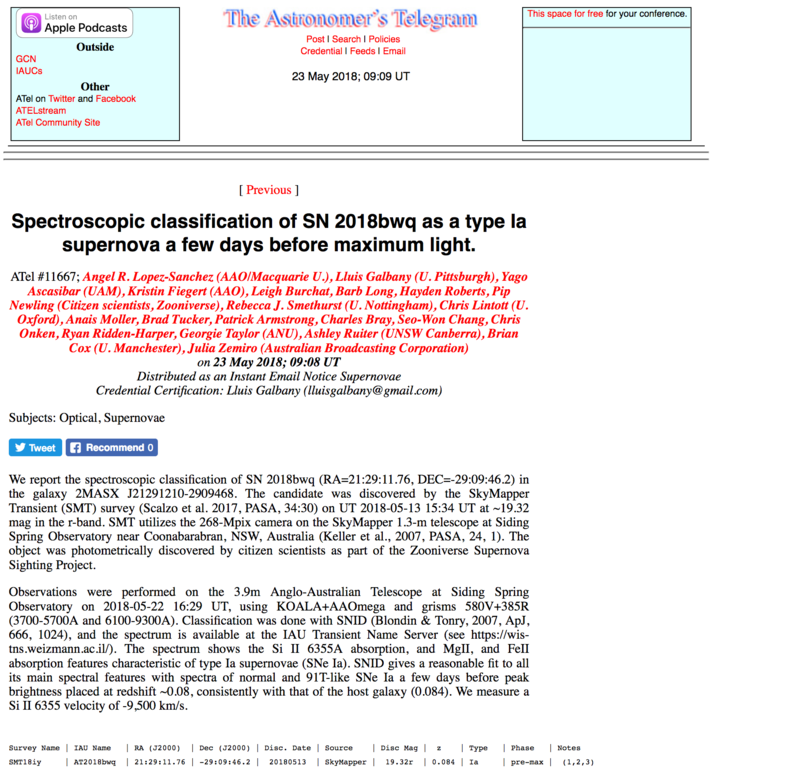 The announcement was made public yesterday in several media releases by the European Southern Observatory and the University of Sydney, following the publication of the research paper in Nature Astronomy. Image of Apep captured in the thermal infrared with the VISIR camera on the European Southern Observatory’s VLT telescope in Chile. Credit: Professor Peter Tuthill/ESO. But in any case I’m very happy I had this conversation with Liam and that I could contribute at least to the dissemination of this nice work. This is the translation and adaptation to English of my article “Eclipse de cuerpo“, originally published on Sunday, 21st Oct 2018 in the Supplement “El Zoco” of the newspaper Diario Córdoba. This article summarizes my experience after being diagnosed by the Guillain-Barré Syndrome. I’m still recovering from this, as plenty of rehabilitation and gym are needed. So you are still wandering why I have not answered your email… well, that it is! Thanks a lot for all your support during these hard times. During the second week of July I was in my natal city, Córdoba (Spain), giving talks at the University of Cordoba within the activities of its Foro Único (which I have the privilege of being part of since its creation) together with the Scientific Culture Unit of the University of Córdoba (“Unidad de Cultura Científica de la Universidad de Córdoba“) and the Astronomical Association of Córdoba. At the same time, I was finishing preparing my contributions (including an invited talk in a plenary session) for the Astronomy Conference and Science Meeting organized every two years by the Spanish Society of Astronomy (“Sociedad Española de Astronomía”) and held in Salamanca (Spain) the following week . 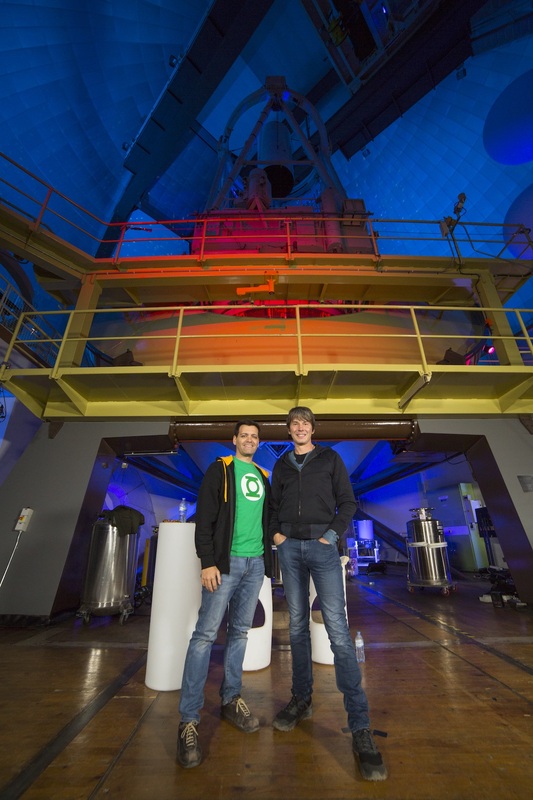 These activities promoted not only the dissemination of my scientific work but also the need to inform society about the astronomical discoveries we as researchers are doing. Without expecting it, and in just four days, from lectures, nice walks, talks, “tapas” and meetings with collaborators, scientists, astronomers and friends in Córdoba, I had to be admitted to the Intense Care Unit (ICU) of the Reina Sofía University Hospital with an induced coma and with the body paralyzed almost entirely. I had been affected by the Guillain-Barré syndrome. This ill-fated and terrible neurological disease, of which some details are still unknown as to why exactly it does occur, is an autoimmune disorder in which the antibodies generated to attack a virus also attack the nervous system. Consequently the nerves can not send the signals effectively and the muscles lose their ability to respond. This leads to the paralysis of legs, arms, hands and feet, the inability to have sensations such as pain, cold or heat, and even the paralysis of the digestive, excretory and respiratory systems. Although Guillain-Barré syndrome only occurs in 1-2 cases per 100 thousand people per year, its death rate is around 7.5%, usually as a result of respiratory failure induced by paralysis. Fortunately I was in Córdoba, where one of the best hospitals in Spain (and I would add of Europe or even the whole world) is located. The professionals at the Hospital Universitario de Reina Sofía not only diagnosed the disease quickly, but they did an exhaustive follow-up of everything that was happening to me. The treatment (plasmapheresis, that is, “filtering” the blood to extract the plasma, leaving only the red blood cells, white blood cells and platelets, which did return to the body), the speed of taking me to the ICU to intubate, feed me and make me eliminate my waste, and the rehabilitation from day zero were key to recovery. 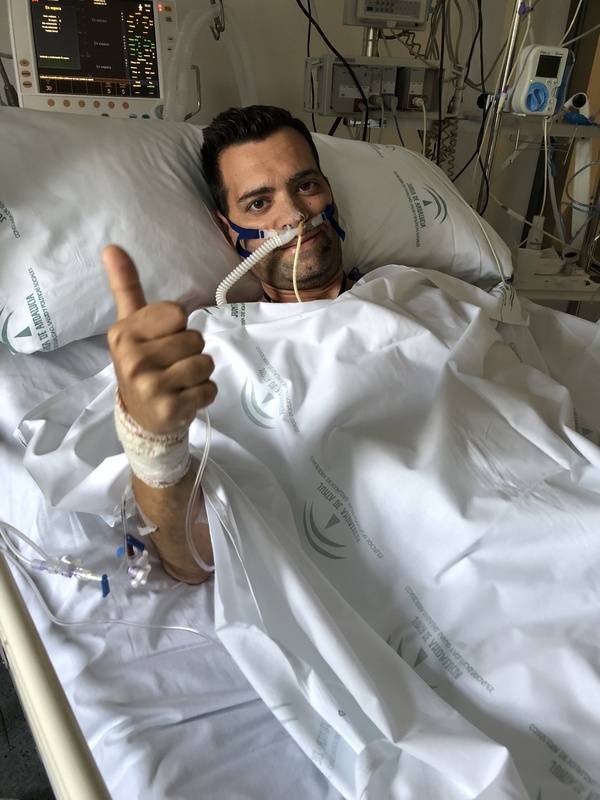 Me at the UCI at Hospital Universitario Reina Sofía on 3rd August 2018, just after the doctors removed the breathing tube. In 10 days I was able to breathe again for myself and talk (I do not recommend being fully conscious and not being able to communicate). In 3 weeks I was able to use my mobile phone again, write and feed myself. In just a month and a half I was able to walk again, with help. A month ago, on Sep 19th, at the insistence of the Australian insurance (as I do not quote in the Spanish social security all the hospital expenses were charged to my Australian travel insurance), I returned to Sydney. Three months later I start to see it as a bad dream, I have returned to work and I have a completely normal life, only that I still have a lot of muscle to recover (I lost almost 15 kilos of weight) and I still get fatigued more than usual. In another 3 months I hope to be fully recovered. In total I spent 19 days (three of them unconscious) in the ICU of Reina Sofía and another two weeks more in plant, plus one month going daily to rehabilitation, where day by day the team of doctors, nurses, physiotherapists, assistants, caretakers and others showed excellent treatment both professionally and personally. 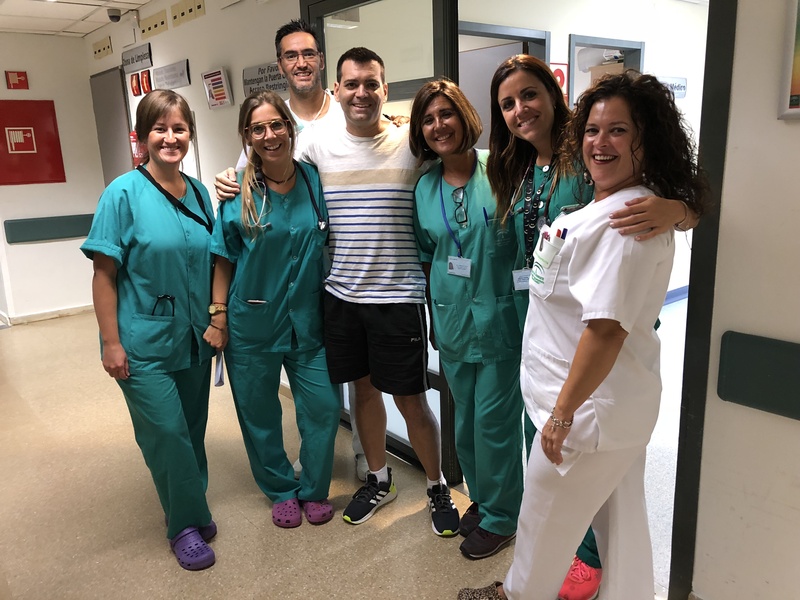 Me with some of the doctors, nurses, and specialists at Hospital Universitario Reina Sofía who helped me to recover so fast! This was taken on 6th September 2018, when I was starting to walk a bit (the walking frame I was still using by then is not seen in the photo). That’s why my first Astronomy article this season, and the first science or outreach article I write after returning to work this third week of October (three months after the start of the illness) is dedicated to the exceptional staff of Reina Sofía. I do not want to give a long list of names for fear of leaving many people behind, but I insist that I do not have enough words of thanks to each and every one of them. It is something that should make us feel very proud to Cordoba, and we should support at all times to continue to make the impressive medical and research work that takes place at the Hospital Universitario de Reina Sofía. It happened that, being in the phase of improvement at the end of July but still in the ICU, there was a total lunar eclipse visible from Europe and Asia. This lunar eclipse in the middle of summer delighted amateur astronomers and the general public, who enjoyed this beautiful celestial spectacle that does not need a telescope to be observed. A total lunar eclipse occurs when our satellite enters into the shadow of the Earth. The phantom color between orange, red and black that the Moon acquires is a consequence of the light refracted by the Earth’s atmosphere. The poets can say that we are seeing all the sunsets and sunrises that are happening on Earth at that moment. From Spain the total phase occurred shortly after the departure of the full moon over the eastern horizon, which left beautiful prints of our red satellite next to monuments or mountains. It also proliferated through social networks multitude of “fake photographs” made as assemblies (I was shown one of the Roman Bridge in Córdoba with a full moon eclipsed so big that to have been real our satellite should be 20 or 30 times closer to Earth than it actually is!) . Total Lunar Eclipse on 27th July 2018 seen from Córdoba, Spain. Credit: Paco Bellido. 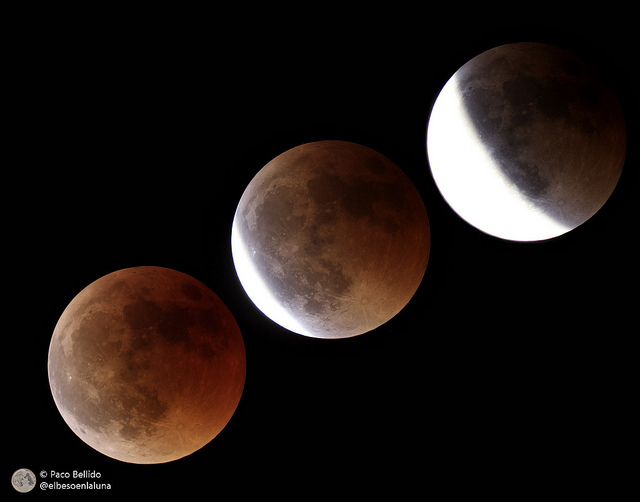 Here I compile the wonderful shots that the astrophotographer Paco Bellido took from Córdoba showing the moon completely eclipsed (below left) and two shots of the eclipse when the moon was leaving the Earth’s shadow. This lunar eclipse occurred on July 27 and I missed it (unfortunately, the window of my ICU room did not have the correct orientation). But for this I had suffered an eclipse of the body myself!